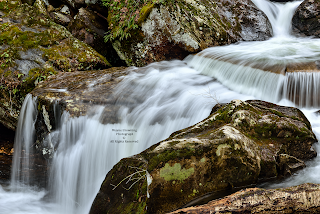 has been turbulent, with all forms of precipitation including snow and ice storms in the high country of the High Knob Massif. at the University Of Virginia's College At Wise. 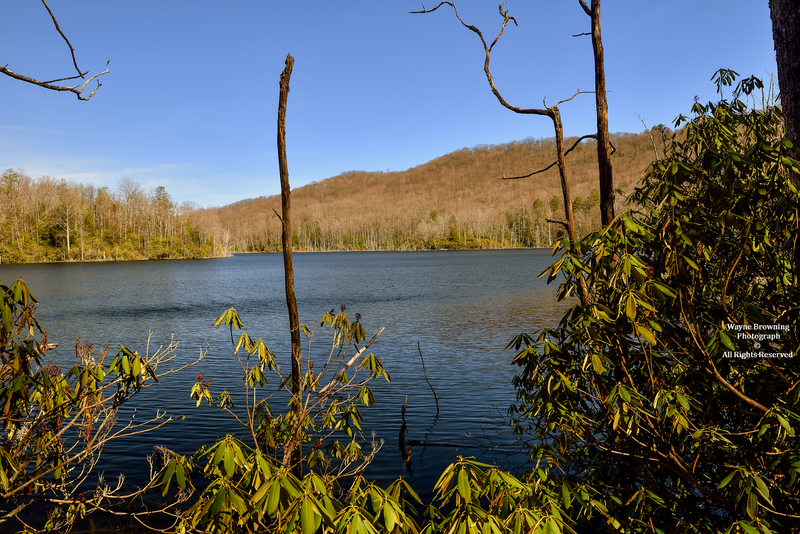 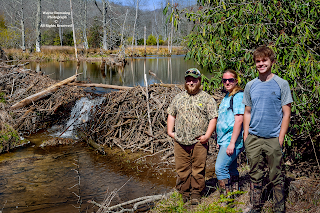 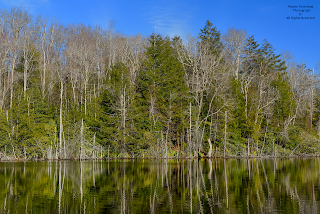 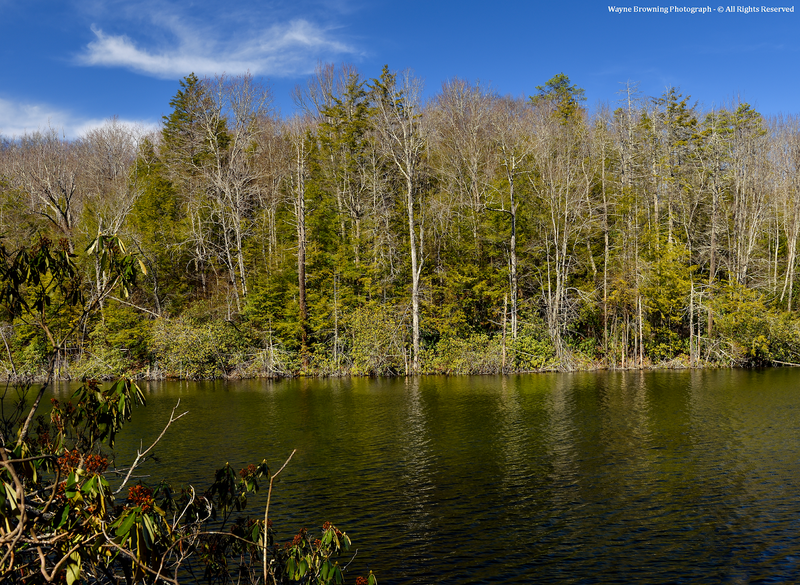 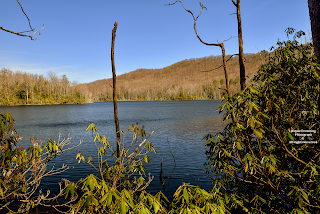 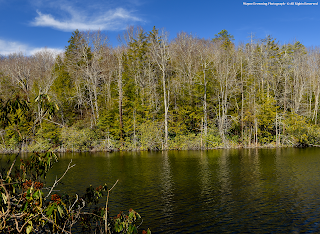 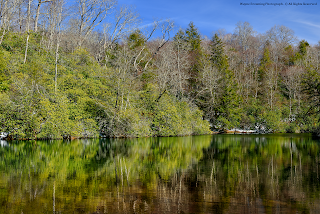 This included taking a snow core, surveying large snow drifts along high crest lines, as well as a hike into beautiful High Knob Lake basin where the lake was exceptionally beautiful with a wondrous aqua-green to bluish-green coloration. 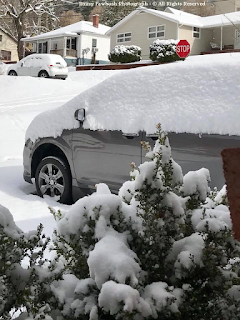 While steep southern exposed slopes around the lake had only patchy snow, a general 1" to 9" of snow depth remained on the northern exposed slopes. 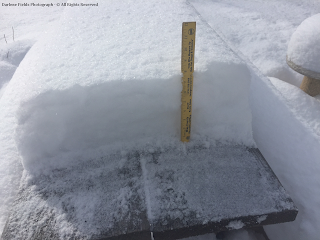 A snow core generated 0.68" of water content to suggest at least 7" fell, if not a bit more given that snow density in these upper elevations had a snow-to-water ratio somewhat greater than 10:1 . 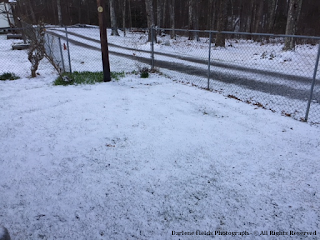 *Most of the snow fell with air temperatures in the 10s to low-mid 20s. Only part of the March 20-22 storm was snow, with a total water equivalent of around 2.00" or more in these upper elevations ( 1.28" measured at the base in the City of Norton ). Big Cherry Lake Dam in advance of the nasty, water loaded snow-ice storm of March 24-25. 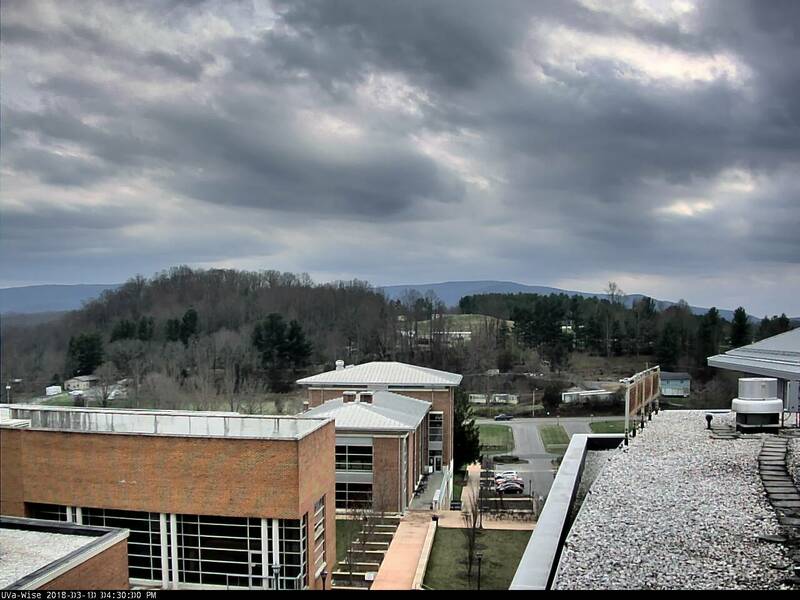 *The total is somewhat low due to wind induced rain gauge under-catch with air flowing across Big Cherry Dam ( rain gauges are 20 feet above the water level to the northeast and around 100 feet above ground level toward the southwest ). 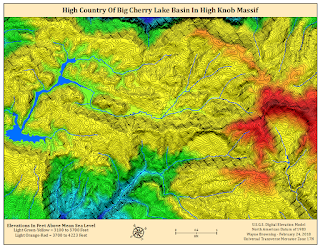 Recent low temperatures in Big Cherry Lake basin dropped into the low-mid 10s during March 22 and into the low-mid 20s on March 31 ( the last 0 degree temperatures occurred in early February ). Another morning featuring 10s in high country valleys is upcoming into April 5. 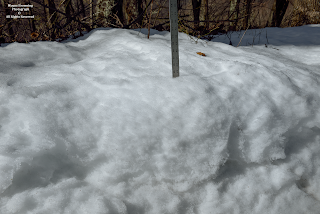 A historic late season winter storm generated a general 2 to 4 feet of snow depth in locations along and north of the High Knob Massif during the first days of April in 1987.
the different isobaric levels in motion. 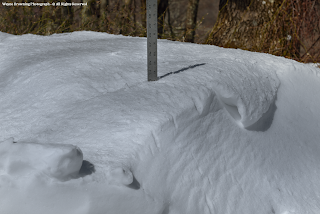 Carl Henderson, electrical engineer for the former Blue Ridge PBS transmitter station on Eagle Knob of the High Knob Massif, reported a general 2 to 6 feet of snow depth in wake of this major event. 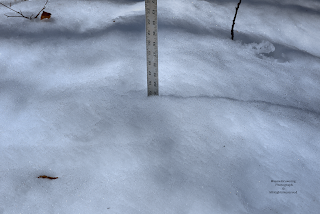 Total snowfall was generally significantly more than total snow depths due to settlement, melting and sublimation amid higher spring solar angles than indicated below ( the exception being much higher drifts which locally formed along mountain ridges ). 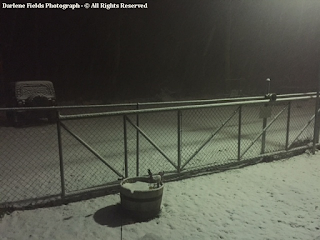 Nearly 2000 vertical feet below, Gary Hampton reported 3 feet of snow depth at the City of Norton Water Plant on the northern base of the High Knob Massif. 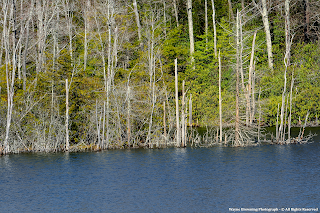 These were the greatest depths reported in Virginia during this event. 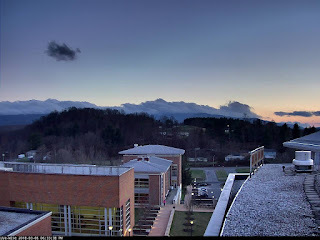 Great storm events tend to accentuate the great orographic sections of the Appalachians, with this epic April 1987 snowstorm being no exception. 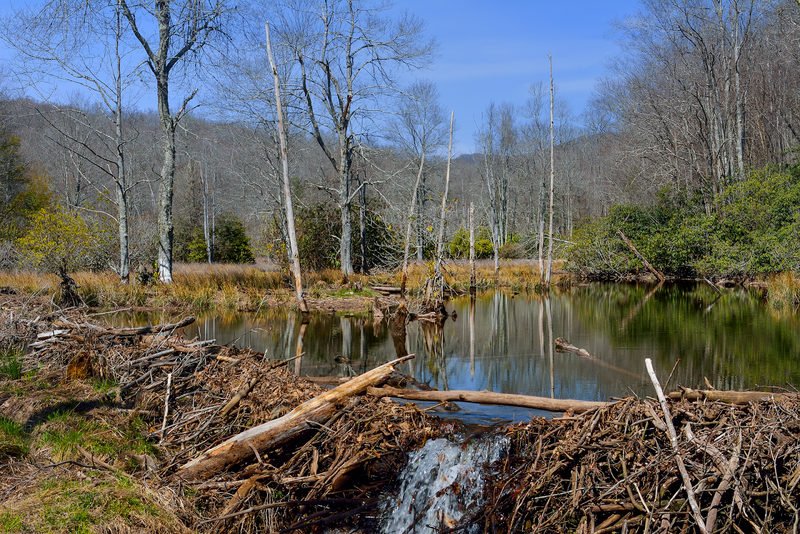 48" - 11" = 36"
42" - 10" = 32"
**Difference between Pickens, Wv., and Millgap in Highland County, Va., which was downstream of the Allegheny Front during much of this event. 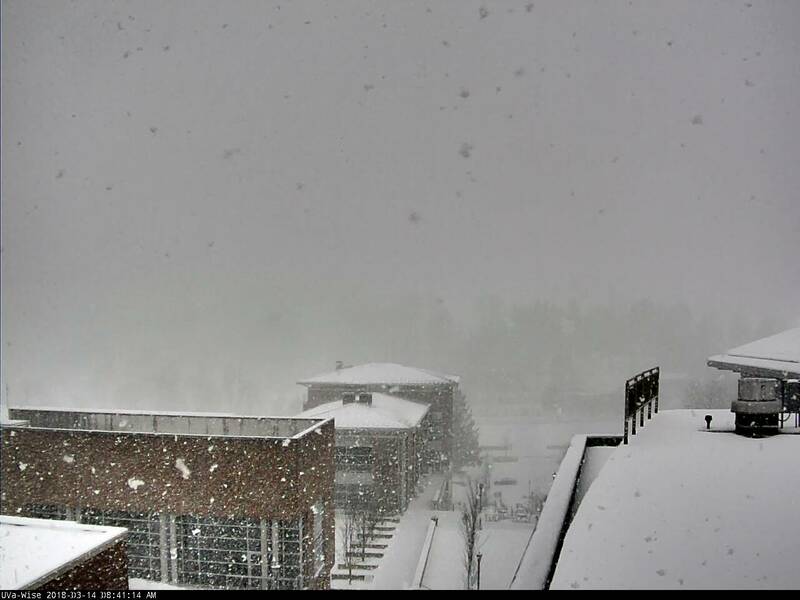 A total of 32.8" of snow was measured at Snowshoe Mountain. 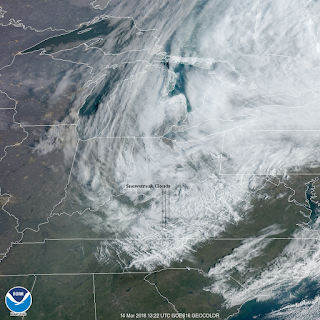 Bigger events in the past have generated even larger differences along storm flow trajectories, of course, with this being a nice mid-spring example. 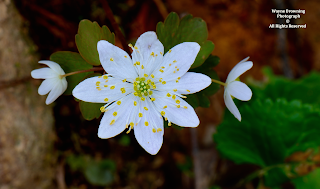 The first Rue Anemones began blooming in lower elevations of South Fork Gorge of the Powell River by the end of February-early March, in wake of record February wetness and unseasonable mildness during mid-late month. Numerous snowy periods and cold followed in March. 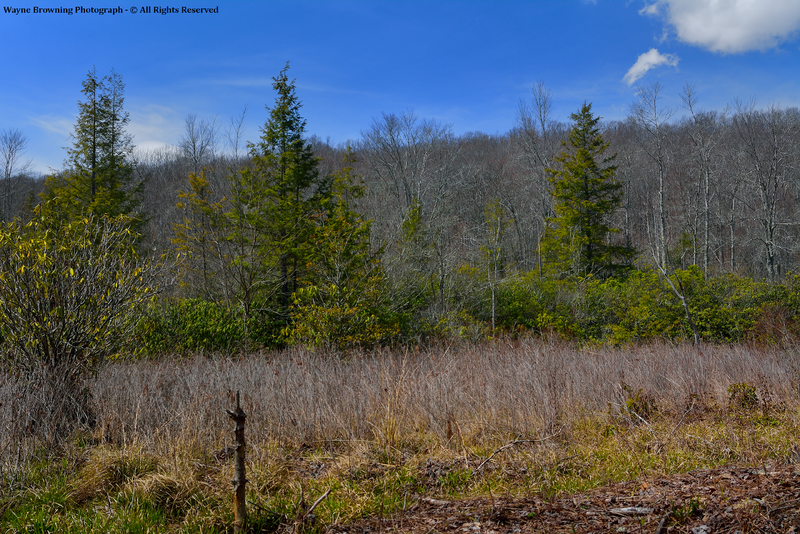 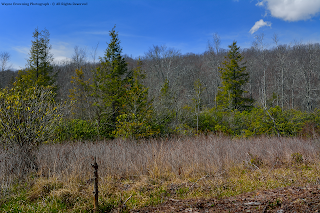 A colder, more snowy March than February in 2018 has emergence of spring ephemeral wildflowers off to a slow start, at least within locations along and north of the High Knob Massif. 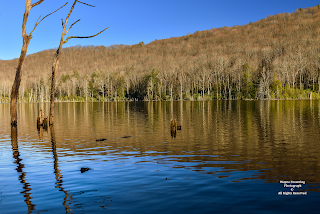 colder in the first half of April than the average February minimum! ( Maianthemum canadense ) is coming up but not yet blooming. February 2018 generated the greatest precipitation amounts ever measured in the state of Virginia, with maximum totals of 14.00" to 15.00" in the high country of the High Knob Massif. 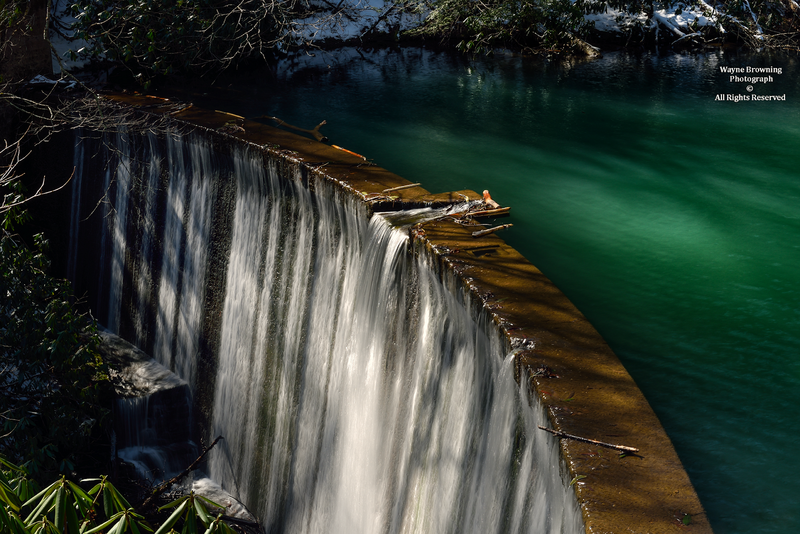 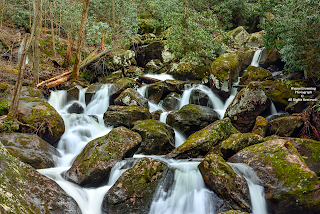 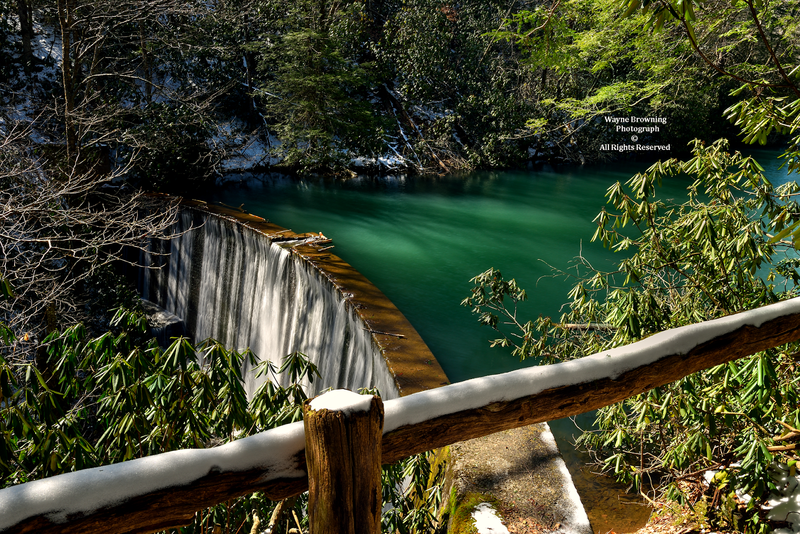 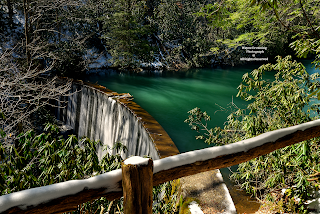 of South Fork Gorge, during February to top the previous valley record established by the Big Stone Gap Wastewater Treatment Plant in 2003. 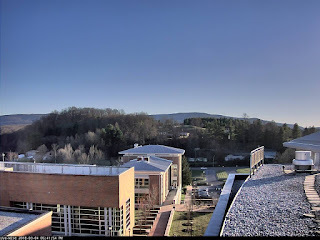 *The 11.81" measured by the Big Stone Gap WWTP during 2003 established a new record for February wetness in the state of Virginia ( a general 12.00" to 13.00" fell in the high country of the High Knob Massif in February 2003. 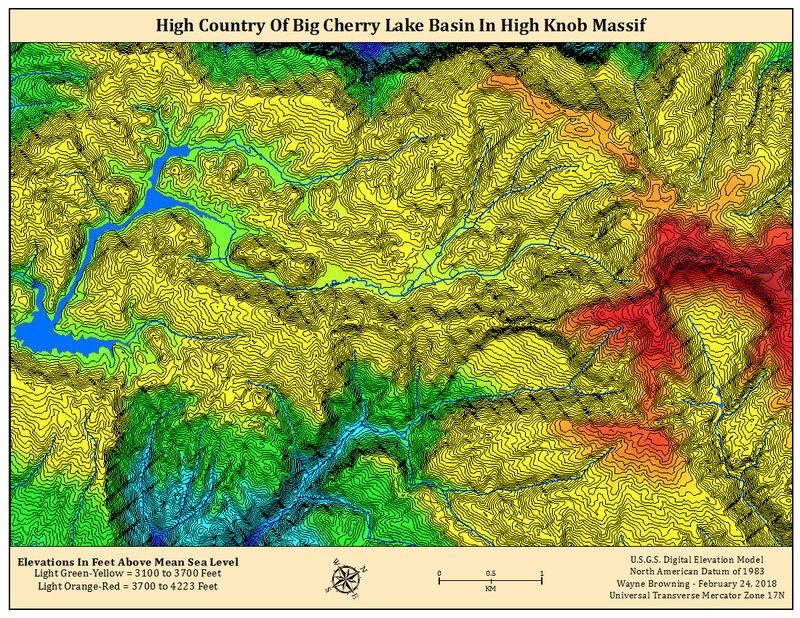 Totals were even greater up above across the high country, with 14.37" at Big Cherry Lake Dam of the High Knob Massif ( * ). 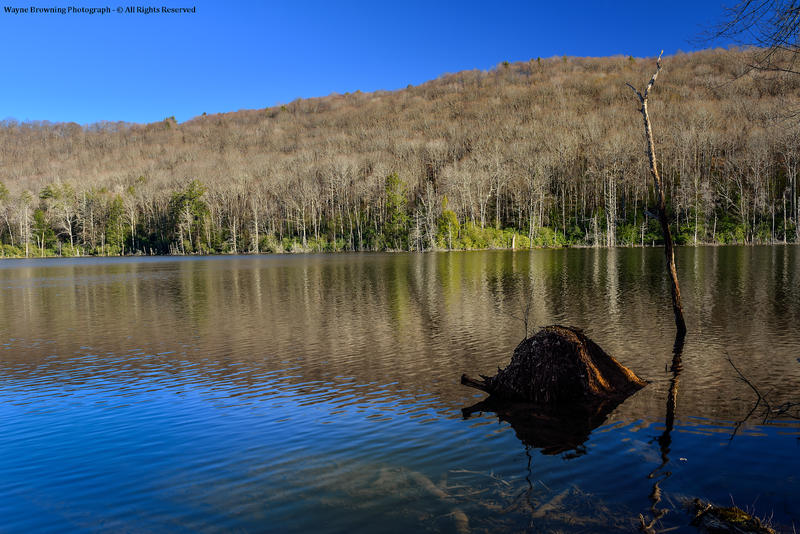 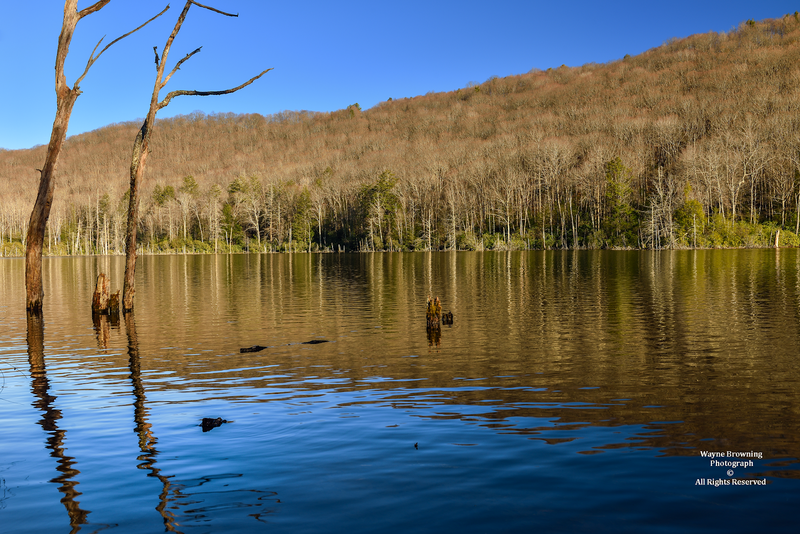 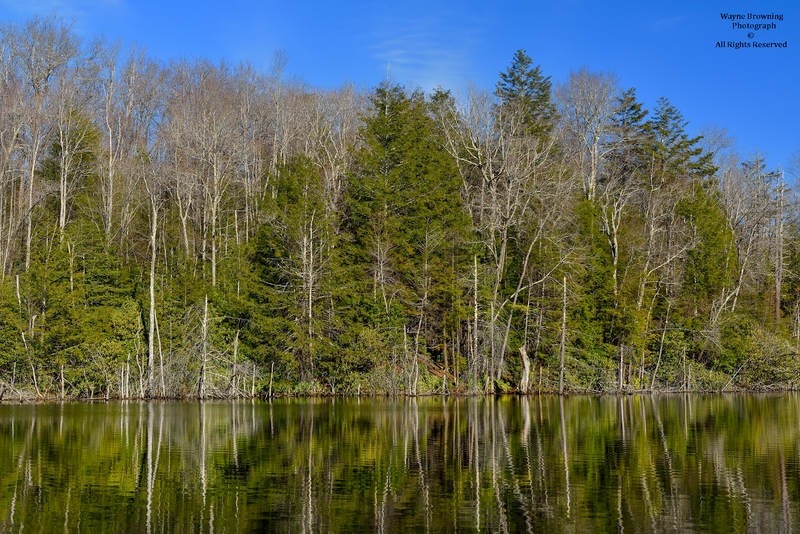 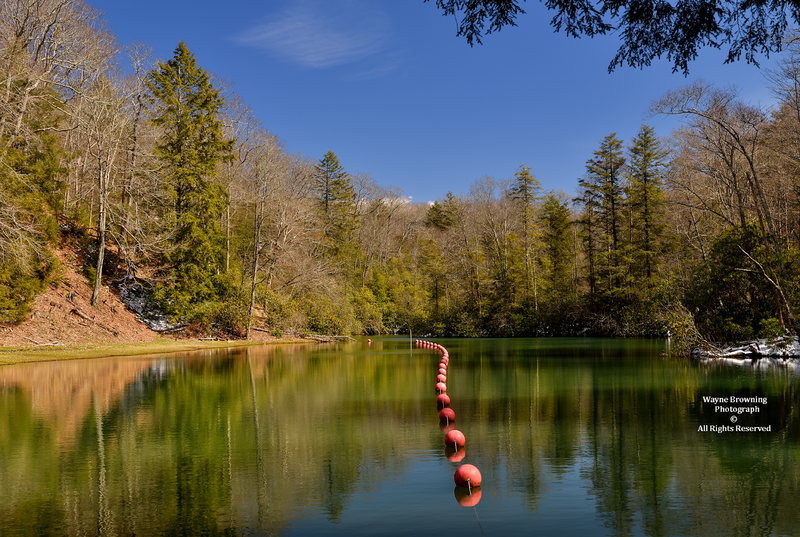 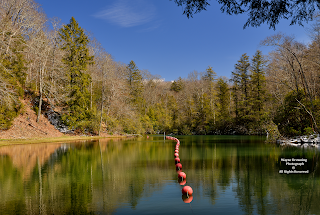 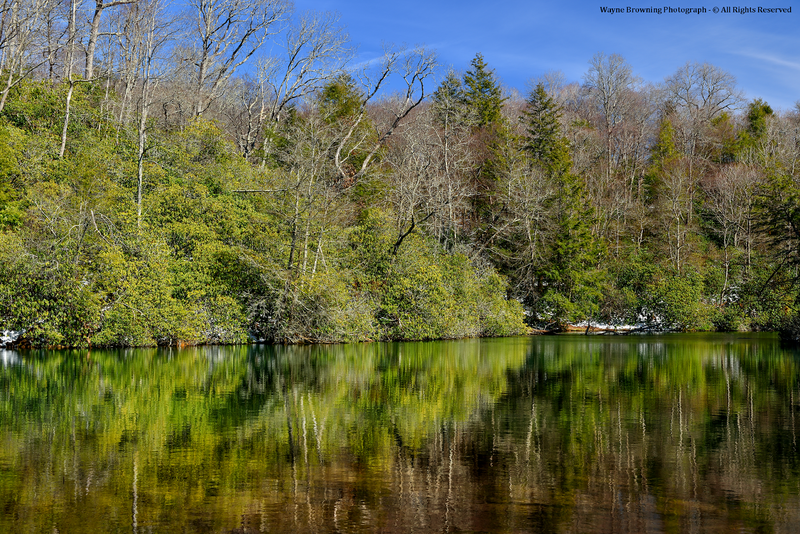 Big Cherry Lake has a water elevation of 3120 feet, with higher elevations toward the basin head often being wetter than Big Cherry Dam. Around 40.0" of snow fell in the meteorological winter period across the head of Big Cherry Lake basin, MUCH below average for the second consecutive winter. Approximately 53% of days had 1" or more of snow depth on northern exposed slopes, with mean depths peaking around 10" during the three month meteorological winter period. 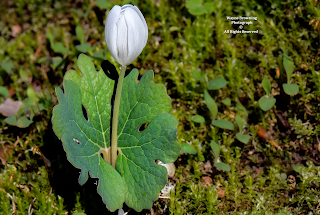 will be presented in coming weeks. 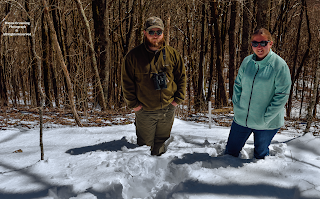 in mid-late February skewed the winter season warmer than average. 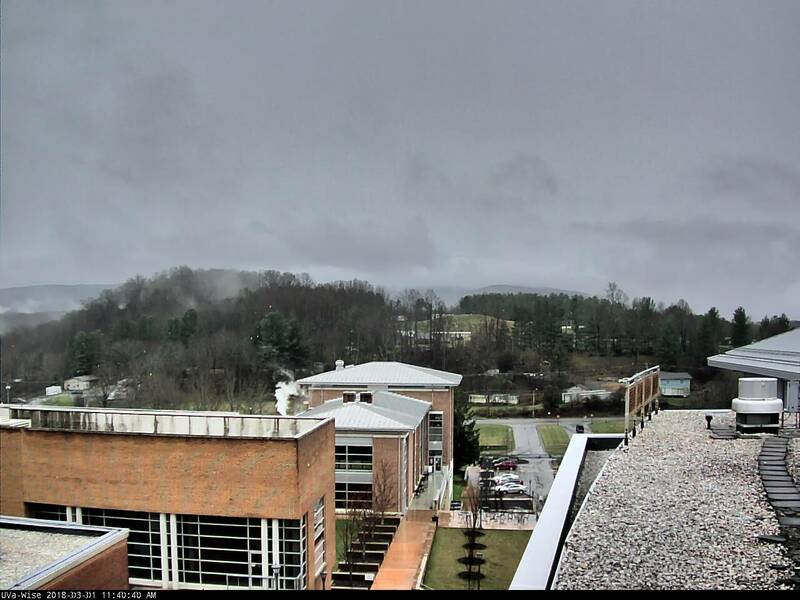 A huge contrast in precipitation amounts has been observed across southwestern Virginia, and the Old Dominion, during this winter season. 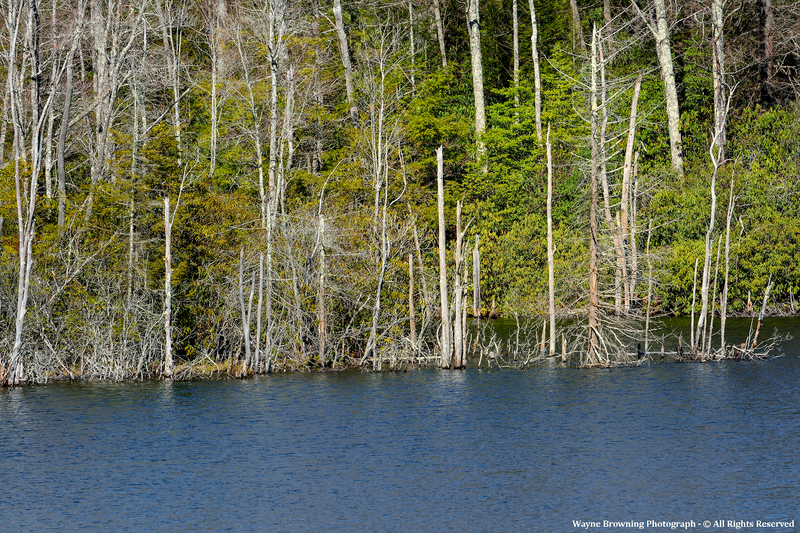 Amazingly, a large portion of Virginia is currently experiencing abnormally dry to drought conditions. Observe that totals decrease both UP-basin along the Clinch River and eastward across southwestern Virginia. A trend that shows up well in longer-term climatology during the orographic forcing season. The Orographic Forcing Season is November-April, with May and October often being months of transitions between the Orographic and Convective seasons. 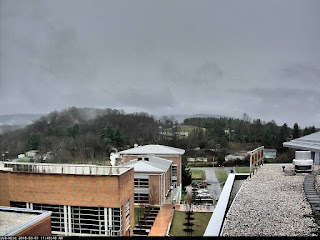 Richlands recorded the most February precip in locations upstream of the High Knob Massif, within the Blacksburg NWS Forecast Office coverage area of the Clinch River Basin, with 7.63" . 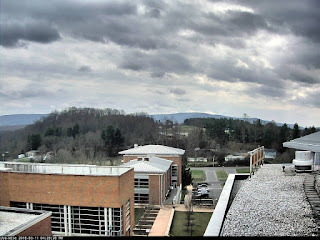 within the Morristown, Tn., NWS Forecast Office coverage area. 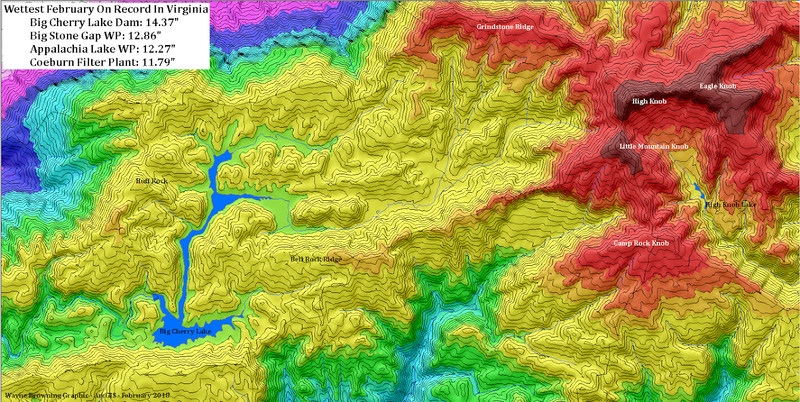 Although these are truly amazing differences, they are analogous to many other periods documented during past decades. 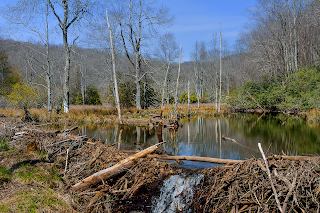 Big Cherry Dam and places to the east in Virginia. 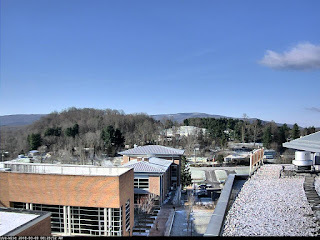 Meadows of Dan 5 SW, along the Blue Ridge escarpment, is typically one of the wetter locations in Virginia, but had 12.82" less precipitation during Meteorological Winter than Big Cherry Dam. 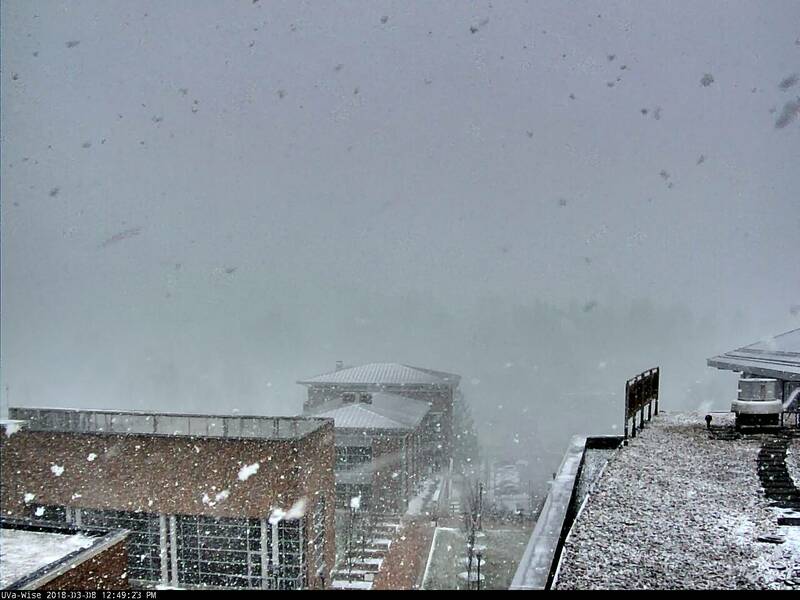 of wintry systems to impact the high country in March ). Large snow drifts lingered along high crest lines around High Knob in wake of the winter storm event of March 12-14, which dropped a foot or more of snow in the high country. 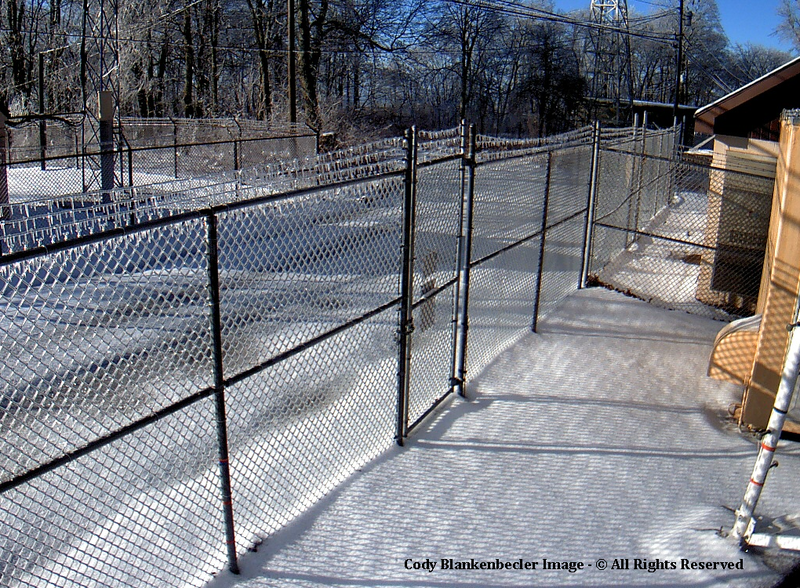 Reference Superstorm Of March 1993 in this section for a look back at a monster winter storm during this same time period 25 years ago. 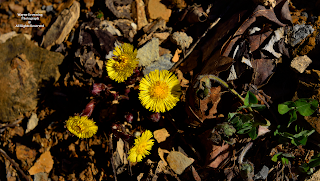 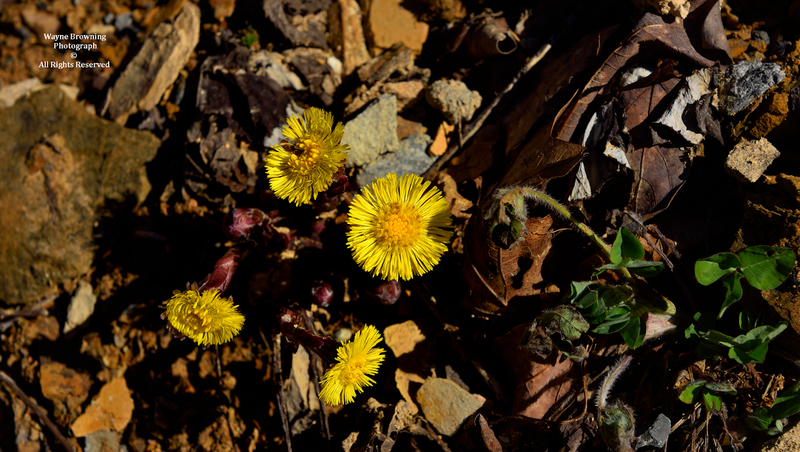 This is the time of year in which interesting contrasts occur over relatively short distances, with a bounty of Coltsfoot wildflowers blooming around Big Cherry Lake amid scattered patches of melting snow ( Coltsfoot is an introduced species and is often among the first signs of spring ). is a native wildflower and is now at peak bloom in lower elevations, adjacent to the High Knob Massif ( these lilies will begin to bloom a little later at upper elevations in the massif ). 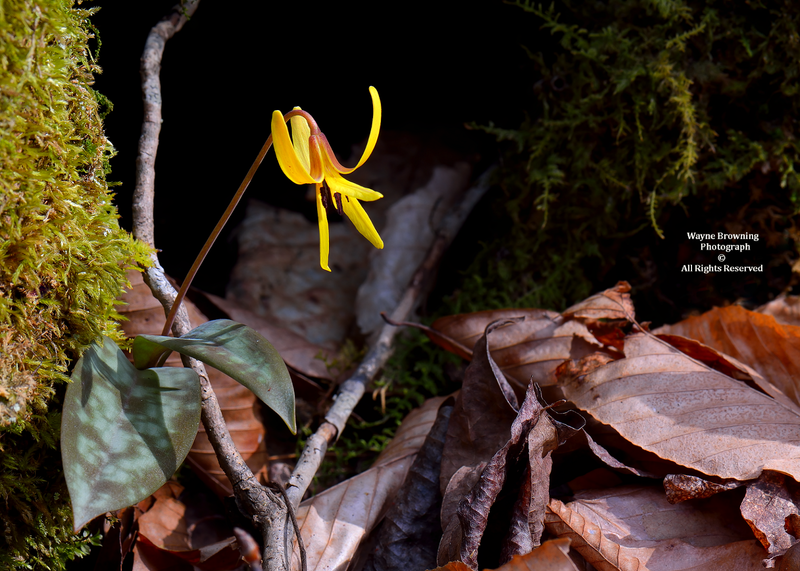 of conditions that featured a peak in Trout Lily blooms around and after March 21 at the lower elevations ( the lower elevation peak was around March 18 during 2016 ). 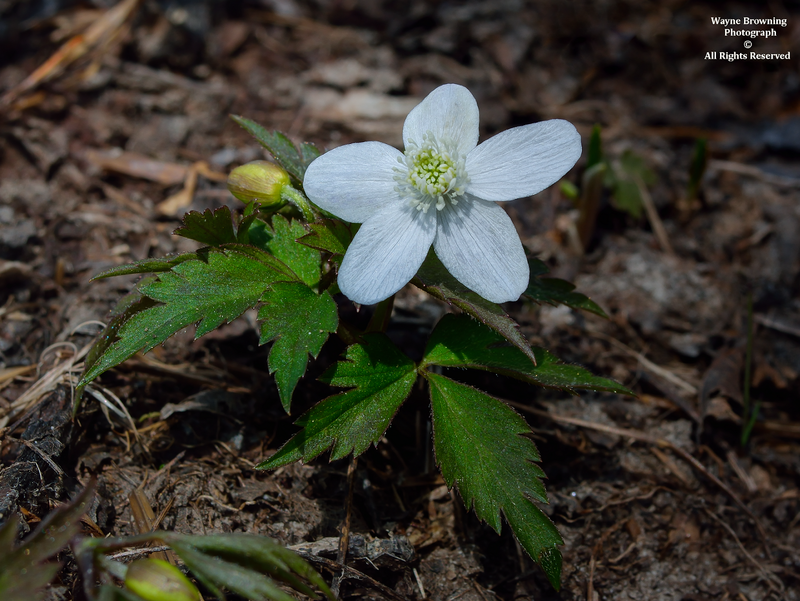 one to numerous times during their growing season. 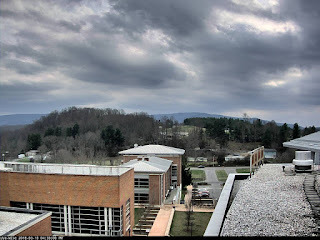 Low dewpoint air in the high country during March 16 allowed for rapid evening temperature plunges in high valleys prior to increasing overnight clouds and the first strong thunderstorms of the season by late on March 17. 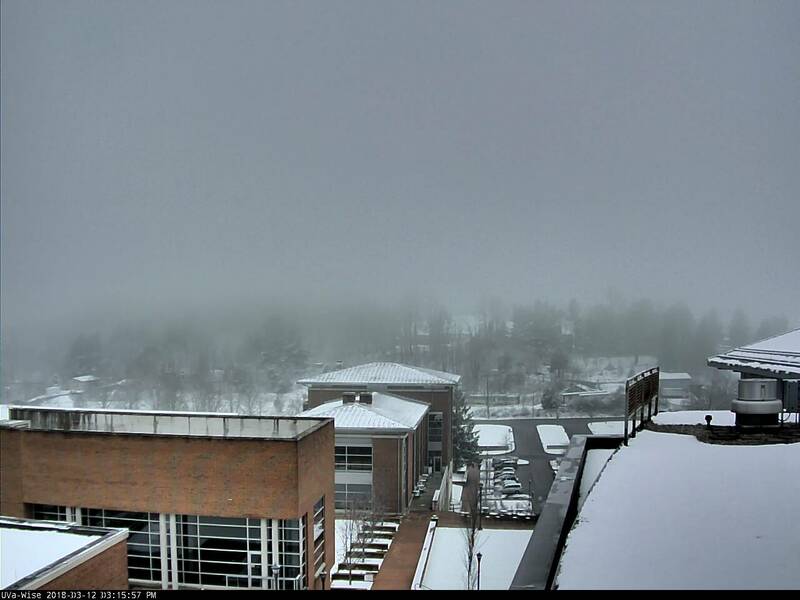 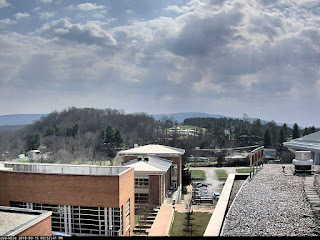 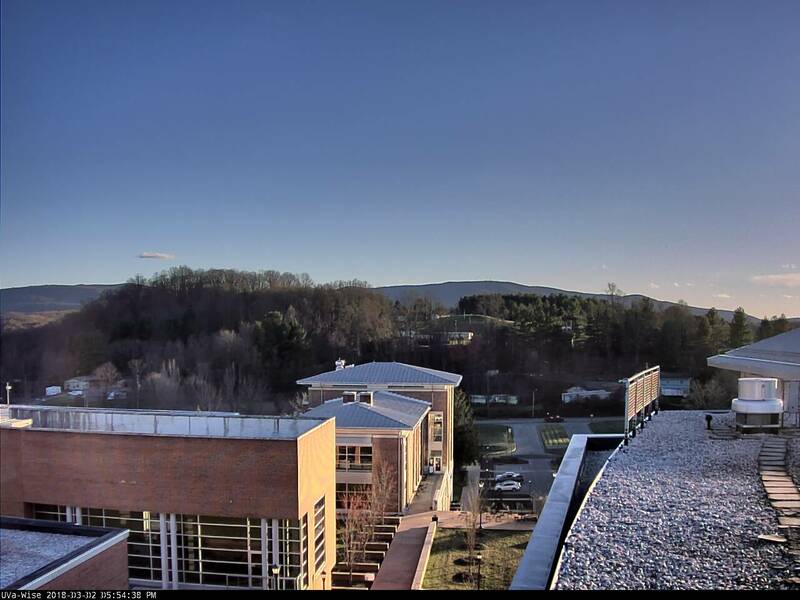 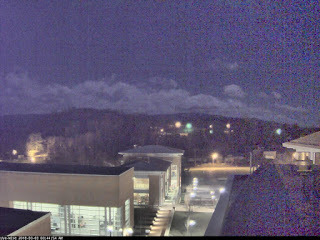 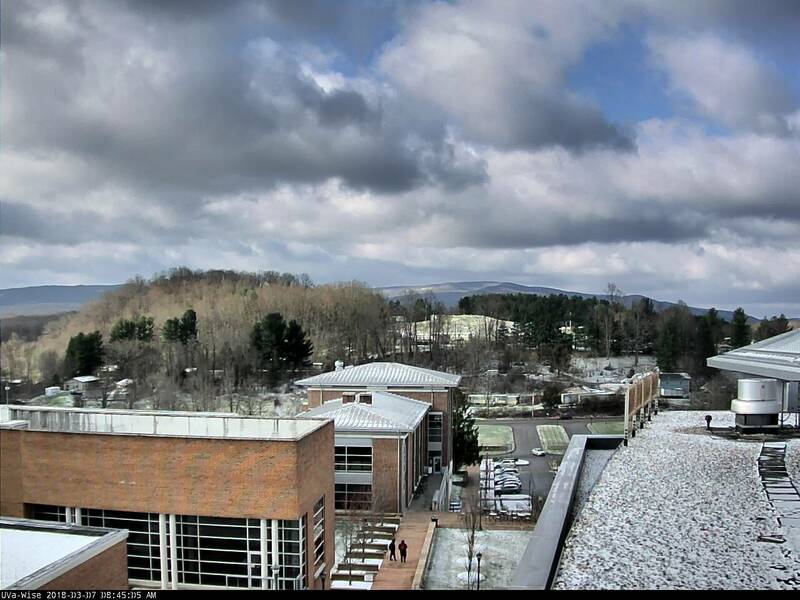 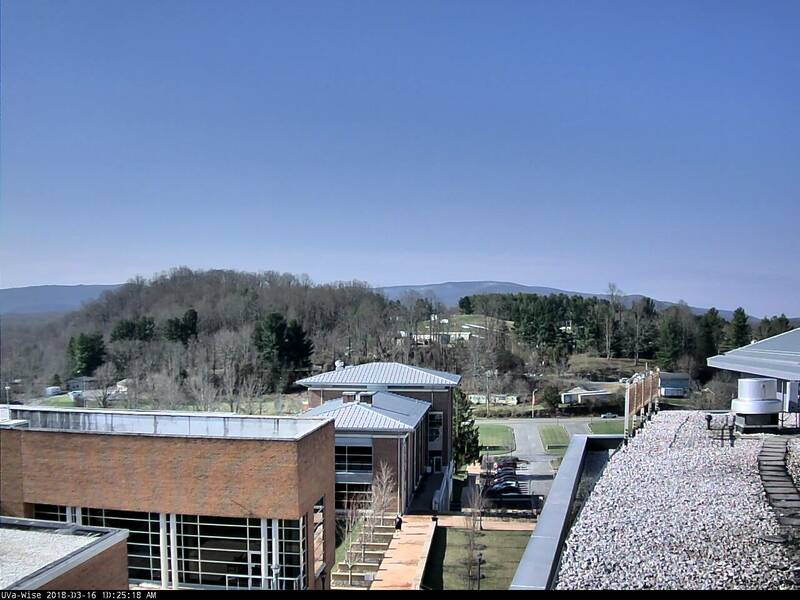 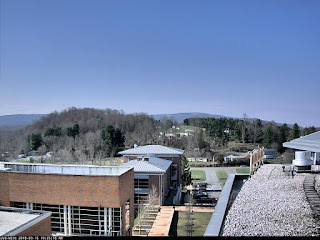 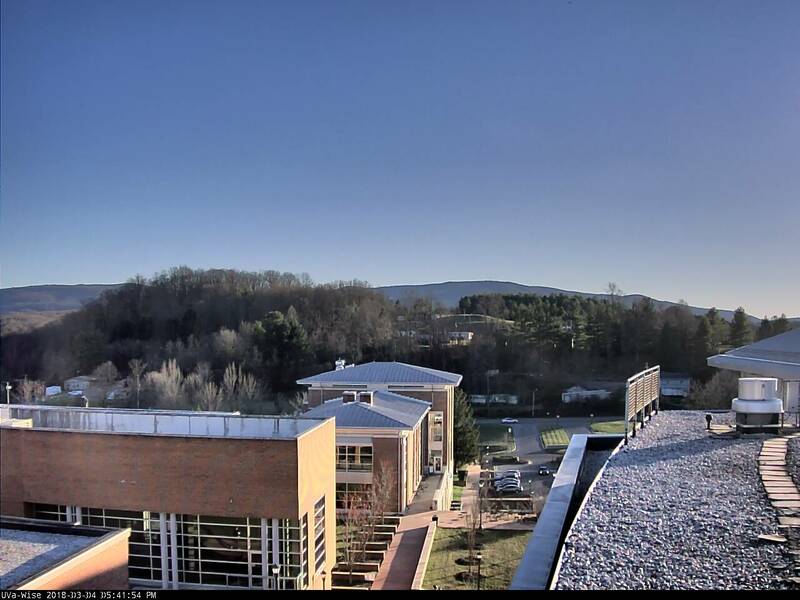 Flipping through some days featured by the webcam at the University Of Virginia's College At Wise reveals the changing conditions observed during this first half of March in 2018. 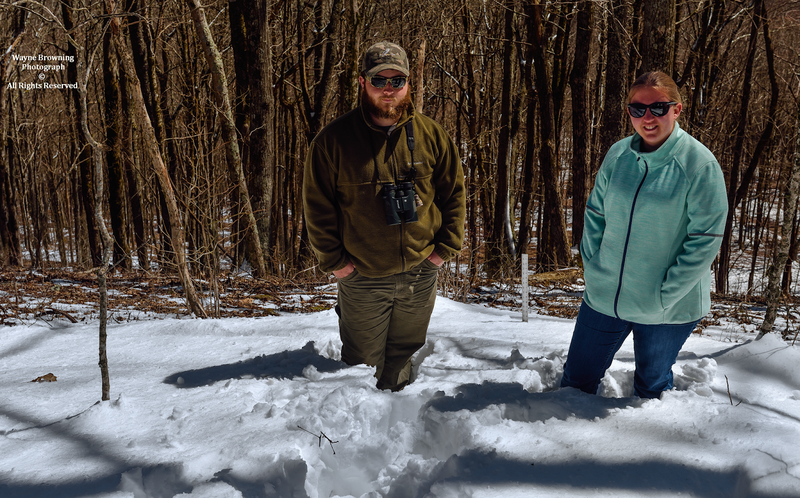 The month of March is notorious for wild weather extremes in the mountains, and this month has not disappointed weather observers. 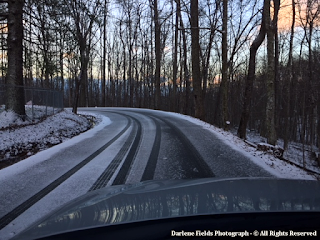 Although not showing up in the daily review from UVA-Wise, up to 1" or locally more of snow made roads slick at upper elevations in the High Knob Massif into morning hours of March 2. 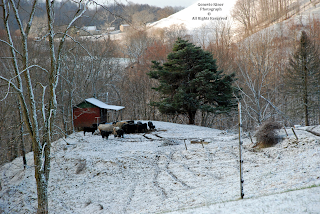 Even with the warmer weather and then the recent snow, the cows need to be fed. 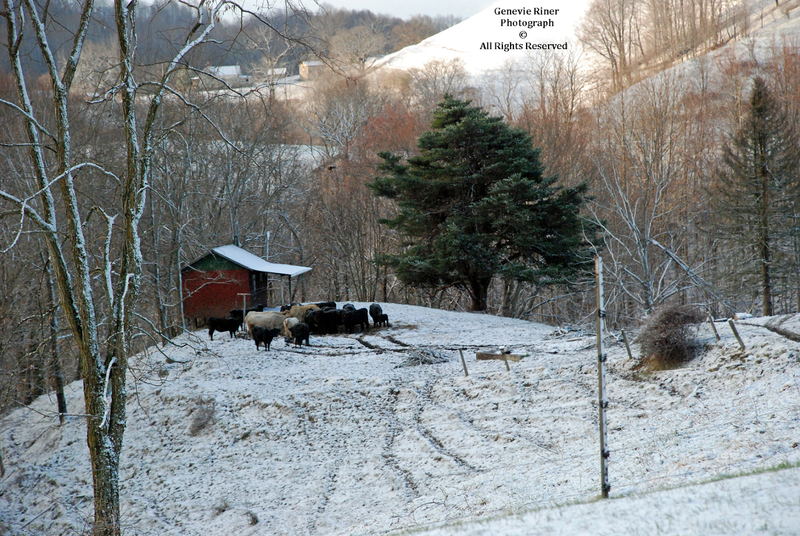 The cow on the right has recently given birth to a new calf. as the battle between seasons begins! 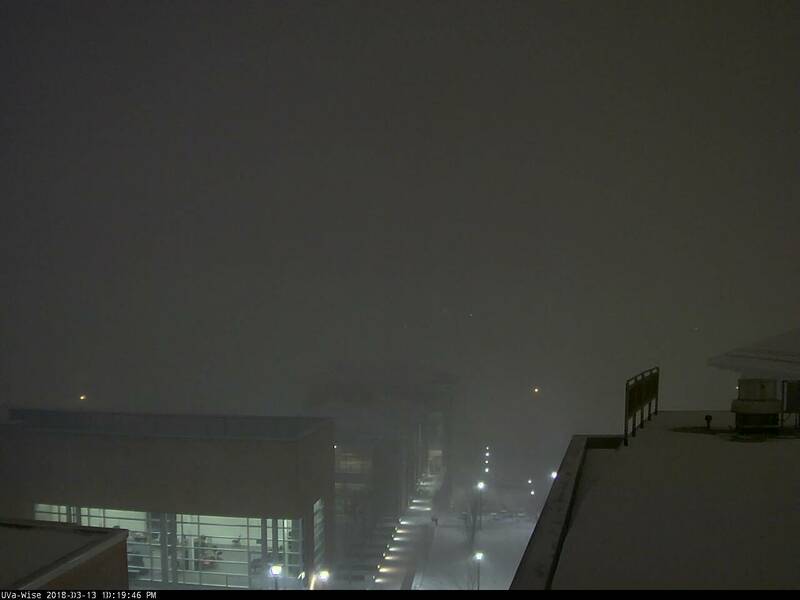 The most intense weather of early-mid March 2018 developed during the winter storm of March 12-14 when intense, locally convective snow squalls generated whiteout conditions. I began out-looking this setting as early as March 11 on the Appalachian Climate Center, more than 48-hours in advance of whiteout producing snow squalls. 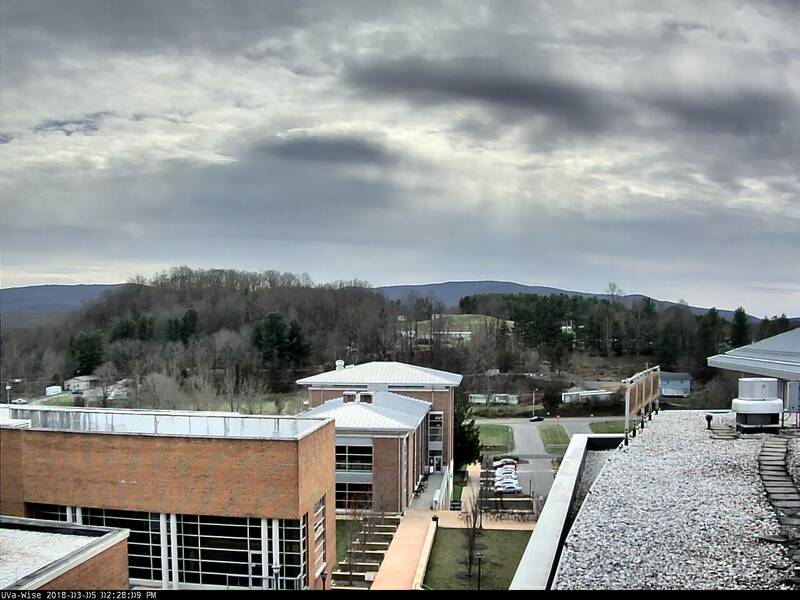 Development of intense squalls became certain upon looking at March 13 visible imagery. 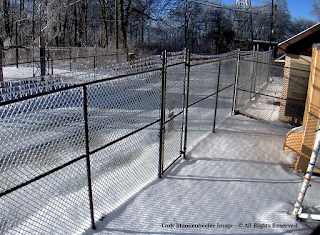 field into morning hours of March 14. A total of 10.0" of snow fell in the High Chaparral community of the High Knob high country between 7:00 PM March 13 and 1:00 PM on March 14.
large drifts of 2-3+ feet. 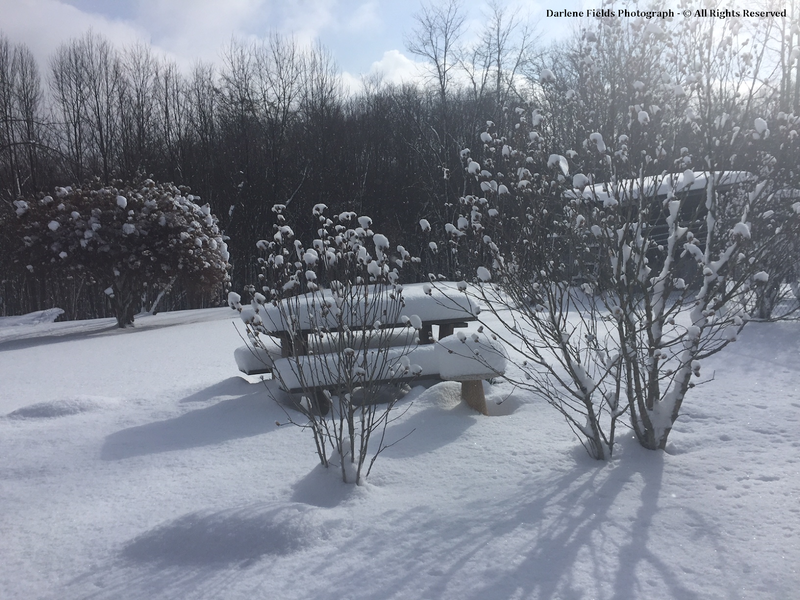 Although melting rapidly, this event generated the deepest snow depths of the season to date ( topping the general 8-12"+ of early February 2018 ). Clouds remained over about half of the High Knob Massif at the time of this MODIS image on March 15 ( above ), with the high country surrounding Big Cherry Lake southwest to above the Duffield Valley being highlighted by snow cover. 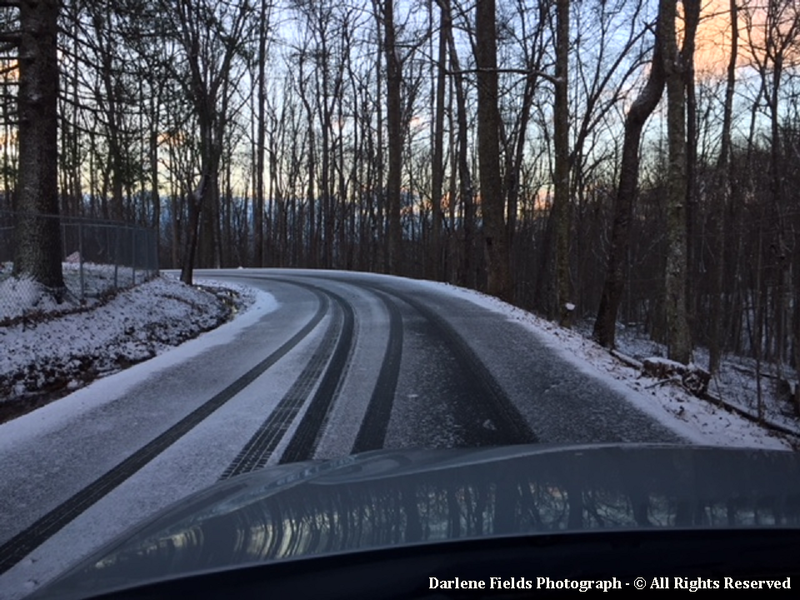 The top of Cumberland Gap National Historical Park is covered by snow toward the southwest, with a narrow strip of snow cover also seen along the crest of the Great Smoky Mountains National Park to the south.